Warning to college students, business professionals and caffeine fanatics everywhere: your morning brew and trips to the local coffee shop may become a thing of the past. Refined western tastes for specialty blends and developing economies in Asia and South America have led to an increase in coffee demand worldwide with the International Coffee Organization expecting the market to grow almost 25 percent by 2020. Even though demand is rising, supply is having a difficult time keeping pace. Coffee supply chain networks are structured to reward roasters and distributors, leaving growers with not much in return for their labor. Poor economic futures combined with the mounting threat to crop yields due to global warming have created a problem that will likely not be resolved anytime soon. The desire for the world’s second most traded commodity behind petroleum continues to grow. Demand is being propelled by emerging markets and by countries that produce the popular Arabica and Robusta beans. As citizens in China, India, and Indonesia flock to cities and embrace a more urban lifestyle, they quickly come to appreciate the productivity-inducing benefits of the caffeinated beverage. Nations that grow much of the world’s coffee like Brazil and Vietnam are starting to see the plant as more than just an exportable cash crop with Brazil now ranked as the third largest coffee consumer behind the European Union and the United States. The gross demand around the globe will not be an easy feat to achieve. The international community desired 141.6 million bags of coffee in 2015 but Roberio Silva, Executive Director of the International Coffee Organization, expects this to jump to 175.8 million bags by the end of the decade. With each bag weighing 132 pounds, this requires a significant escalation in agricultural output to meet the growing needs of an international community that is estimated to desire up to 200 million bags by 2030. To satisfy the world’s caffeine addiction, growers will have to either consume more land or make their farms much more productive, which seems unlikely. In terms of land use, coffee production had been trending along a sustainable path with the amount of land currently under cultivation amounting to roughly the size of Iceland. But with coffee enthusiasts needing 14 million tons of the crop by 2050, the land under cultivation would have to balloon to four times the size of Costa Rica. Finding this available land would cause severe deforestation in the Andes, Central America and South East Asia and force farmers to spend money that they simply do not have. Coffee farmers around the world are feeling the strain of this system. Arabica beans account for 60 percent of the world’s coffee due to their traditionally superior taste. 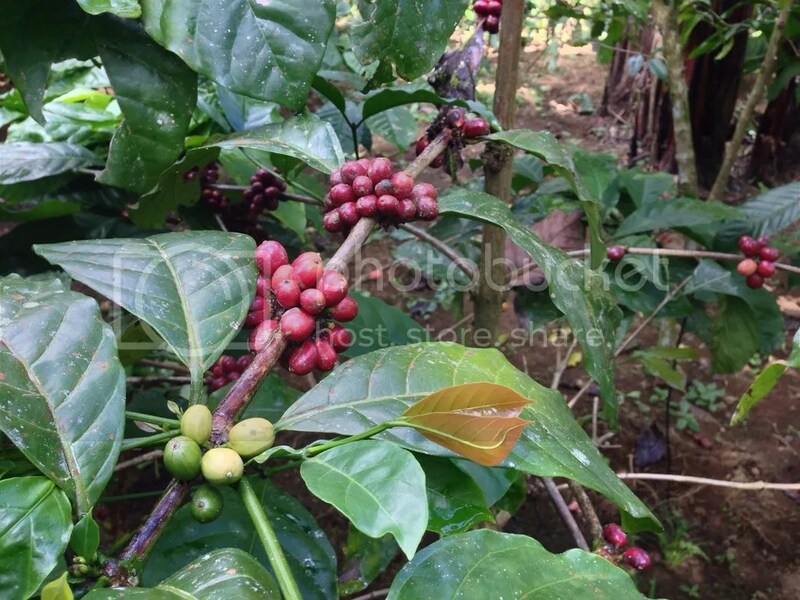 However, they are selling for less than half of what they used to due to the sudden prevalence of the Robusta variety. These beans are more resistant to crop failure, have a bitter taste and are subsequently cheaper. Vietnam went from a non-producer of coffee to the world’s largest producer of Robusta in just 10 years and oversaturated the market as a result. Multinationals like Kraft and Nestle have used the cheaper Robusta beans to their economic advantage, mixing them into their products in order to maintain profit margins. Additionally, developing nations like China and Indonesia prefer the cheaper Robusta bean causing the bulk price to fall at a slower rate than its Arabica counterpart. To the chagrin of Arabica growers in Ethiopia, Brazil and Colombia, falling prices have been accompanied by rising labor costs giving employers an additional nuisance to deal with. It’s a poor situation that is leading some to abandon the industry altogether. Much effort has been poured into attempting to make the coffee industry as sustainable as possible. However, hardly any attention has been placed on the next generation of coffee farmers. Millions of workers are on the verge of retiring and handing the family business over to their children. But much of the next generation is not so keen on this idea. After seeing their families struggle with ceaseless poverty and hardships caused by sporadic rainfall and decreasing crop yields, these young adults are looking to make their fortunes elsewhere. Many are moving into local cities to escape the all-or-nothing way of life in an attempt to find more stable economic futures. Without stable opportunities in rural areas, this demographic trend will continue. But the future of coffee faces an even larger threat. Global warming has already begun and will continue to play a huge role in determining the future of coffee. As temperatures rise, so too will farms. Only 2 percent of the land currently appropriate for the farming of coffee is actually used to produce the crop. This means that there could potentially be plenty of land available to meet future demand. However, a warming climate will cut suitable land in half. Available geographical terrain for coffee production will shift in latitude and increase in elevation. This land is more remote than current rural areas under use and is difficult to access. It is also densely covered by vegetation. A recent study done by Conservation International reported that tropical forests cover 60 percent of future farmable land with one-third of that marked as a pristine and protected area. Parts of Central America, the Andes and Southeast Asia are under the greatest threat of deforestation which would impact and destroy crucial ecosystems that presently assist in carbon storage and provide both fresh water and biodiversity for communities. Fortunately, there are some potential solutions that are being employed. “Coffee Rust” is the most detrimental disease to coffee plants and has accompanied rising global temperatures. Colombia took steps to fight the growing epidemic of coffee rust by undertaking a huge replanting program five years ago and was pleased to see a sizable reduction in overall costs during the ensuing years. The cheaper Robusta plants are more resilient to the rust and other risks imposed by a warmer climate than their Arabica cousin. However, Arabica growers can remain optimistic as the cost of genetically improved coffee plants continues to decrease. Improving the yields on land already under cultivation is also not unfathomable. Brazil has been able to double their crop yield thanks to a planting method that increases density. This has helped cause growth to quadruple the average worldwide harvest rate of 20 kilograms per hectare. Starbucks and other companies whose livelihoods depend on the popular beverage have furthermore made strong efforts in assisting farmers in their struggle against a bleak future. Whether you’re an occasional drinker needing a boost of caffeine or a self-certified java aficionado, the coffee world you have experienced is going to change. So the next time you take a sip of that savory aromatic blended roast don’t be so hasty in casting off the feeling of a burnt tongue, because it one day will be accompanied by the feeling of a burnt wallet.